MotorCity Wine Recordings returns in fine style with its second EP featuring a swashbuckling blend of house and jazz sounds from Detroiters and their compatriots. Rising live techno star Haz Mat leads this 12” with a house-tinged boogie funk cover of Blue Six’s “Music & Wine”, complete with vocoder and massive drums. 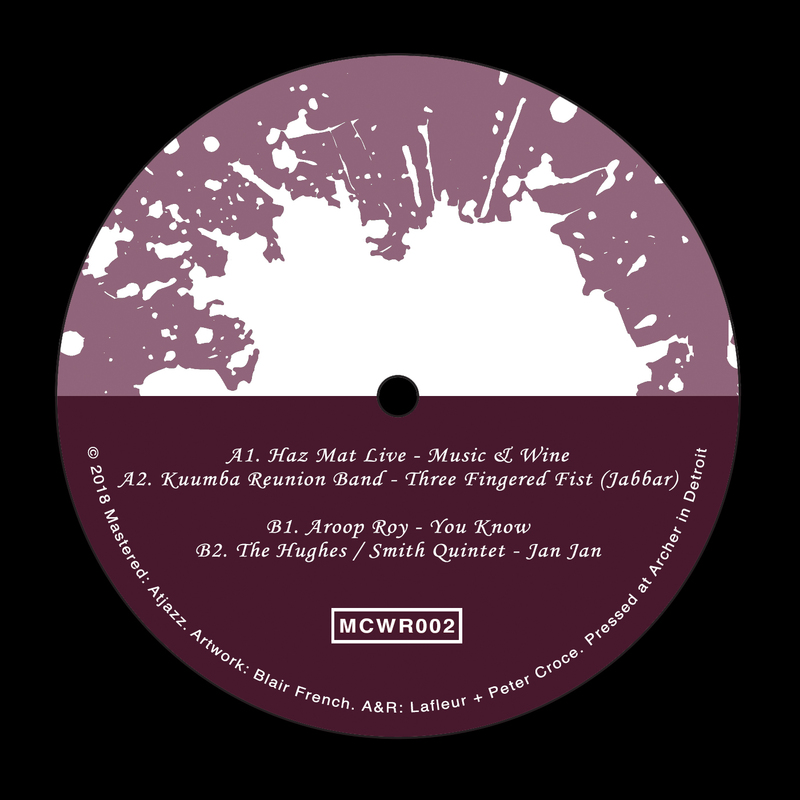 Kuumba Reunion Band slides through next with the Afro-Jazz number “3 Fingered Fist (Jabbar)”, a cut loaded with hand drums and chunky saxophone solos for the jazzdancers and listeners alike. MotorCity Wine guest and London native Aroop Roy kicks off the flip with a dubbed out beatdown house joint, a brilliant midtempo track perfect for the dread moments of the night. Last but certainly not least, The Hughes/Smith Quintet finish the release with an uptempo Jazz-Funk piece, with generous amounts of Fender Rhodes and call-and-response melodies. Only 500 vinyl pressed— enjoy the soulful sounds of Detroit.